Xbox One makes it easy to bring your games with you when visiting friends and family. You can play games you own on disc on any Xbox One console. Just insert the disc, install the game, and enjoy. If you’re having trouble playing a disc on your Xbox One, first try using the steps in How to troubleshoot problems playing a disc on your Xbox One to resolve the problem. You can also play games you purchased digitally through Microsoft Store on any Xbox One console. Here’s how. Note You’ll always need to be signed in and connected to Xbox Live to play digital games. On any Xbox One console, sign in using your Microsoft account, and then connect to Xbox Live. Go to My games & apps > Games. When the game is installed, select the game from your collection, and then select Play. If you’re having problems trying to download a digital game, follow the steps at Problems downloading a game or app on Xbox One. Even though you can leave a game installed on another person’s console, they will not be able to play it unless they also own the game. Instead, they’ll be prompted to insert the disc or purchase a digital copy. Regional restrictions may apply in some cases, as not all games are available in every country. For more information, see Xbox One locales FAQ. 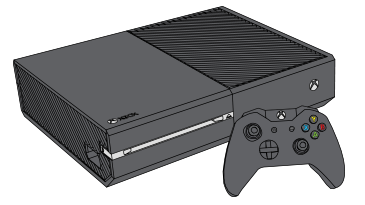 Each Xbox One console must have either a digital or physical copy of a game. For example, if you have other Xbox One consoles in your home and other people want to play the same game with you using those additional consoles, each console must have its own copy of the game. In order to play multiplayer games online, you must have an Xbox Live Gold subscription. Would you like to contact Support regarding the "Playing your games on other Xbox One consoles" issue you were reading about or a different issue?